Swimming South Australia is aligned with the national swimming body's calendar - Swimming Australia. The season commences on the 1st of October each year and concludes on the 30th of September of the following year. Each season runs concurrently. All individuals wishing to compete in any Swimming SA meets or club carnivals must be a registered member with a club. A parent or guardian of the competitive swimmer (under 18) is also required to register. There are a number of different membership options now available which offer incentives for younger swimmers and first time swimmers to join the club. When you register with the club you will be asked to acknowledge the conditions of being a member of Swimming SA and its member clubs. 1. Complete the paperwork package. This includes the medical form, registration form and social media acknowledgement. 2. Contact the club registrar at westcoastrego@gmail.com who will enter your details onto ClubLANE. 3. You will receive a registration email from Swimming Australia with a ONE TIME LINK through to the online payment portal. You can also pay the annual registration fee through your MYLANE account. 4. 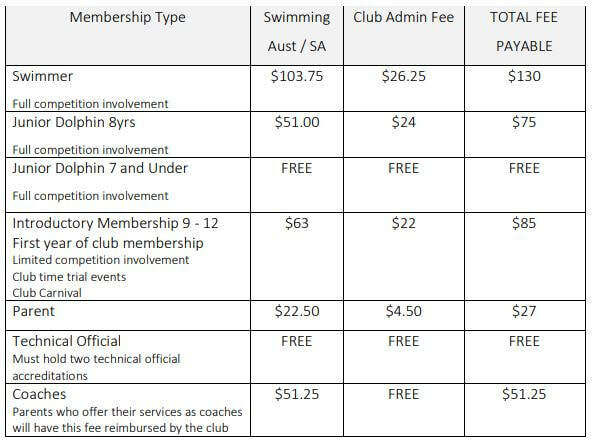 Pay the coaching fee component directly through to West Coast Swimming. Individual invoices are created for each child. An email advising how to re-register for the 2018/19 season has been sent to all current West Coast Swimming Club members. If you are an existing Swimming SA member wishing to change clubs you are required to have a Club Transfer initiated prior to re-registering. Please contact our Club Registrar to organise this. If you are experiencing problems with your membership renewal please make contact with our Club Registrar, in the first instance. 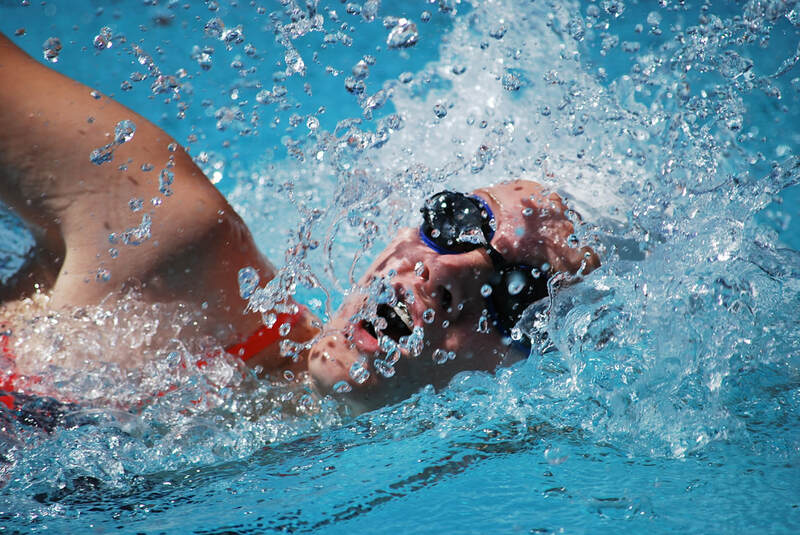 There are a range of membership options available depending on the age and level of competition involvement that an individual swimmer wishes to pursue. These membership categories are listed on the table below. The most common form of membership is as a 'swimmer' - this allows entry to all endorsed and club meets. Competitive swimmers are levied at $130 each. Parents are charged $27 (It is a Swimming SA requirement that one parent from each family needs to be registered). There are no discounts applicable for membership part way through the season or for additional siblings. There will also be a small fee for online payment processing. Coaching fees are paid directly to the West Coast Swimming Club via direct debit. This section is currently under construction due to recent revisions in coaching fees due to the appointment of a paid head coach. All swimmers are invoiced at the beginning of each school term. Pool entry is paid directly to the Port Lincoln Leisure Centre. There are a variety of youth membership options, multi-visit and casual entry fee options. The best solution is to meet with YMCA counter staff and discuss your individual needs.